First, don’t announce any major initiative, like phasing out bondnotes, before it’s been approved by the president, politburo & cabinet, in that order! 2/5 Just like the sun will rise tomorrow, and given murphy’s law, rest assured that your ZanuPF detractors will use Barbican Bank, AfDB & dual citizenship residue against you. The question is not whether they will, but when & how they will do it. You are forewarned; be forearmed! 3/5 A minister of finance is not a technocrat but a politician. You will need political clout that comes from being a ZanuPF member, an MP and, crucially, a central committee & politburo member. If you are not these things, it’s a disaster & if you are, your technocratic CV dies! 4/5 You must remember that while the late Morgan Tsvangirai, and before him the late VP Joseph Msika, saw you as a prospective RBZ Governor given your banking history, you are minister of finance in charge of fiscal & not monetary policy. Stick to your job & let others do theirs! 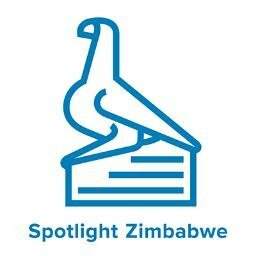 5/5 The Ministry of Finance does not have the high-end skills necessary for an economic ministry in a country with Zimbabwe’s intractable socioeconomic problems; compounded by political malaise. There’s no craft-competence from the permanent secretary, down to the shop floor! So much unnecessary hype about this fellow. He even holds dual citizenship, so he’s of no loyalty to Zimbabwe. Professor Jonathan Moyo did join Zanu PF and where is he now?